Hold on to your seats, this post is a long one. Today we are going to share an interesting series of ‘before and after’ images featuring artwork brought to us by my friend Dr. Kristen Sihler; trauma surgeon, world traveler, and art lover. Her most recent collection of framings reflects her diverse interests and experiences which I’m glad she agreed to share with us all. 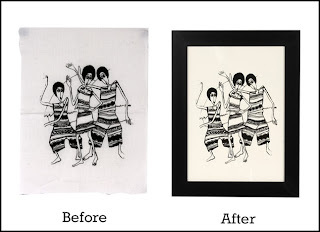 Kristen purchased these two drawings (ink on linen) at an art workshop in Ethiopia for women who have lost their husbands. Women don’t typically work outside their homes in that culture, so workshops like these give women a trade and a means to provide for their families. 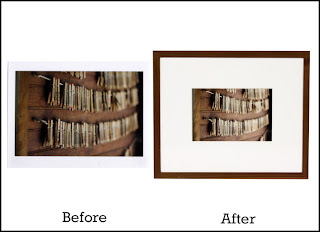 Our goal in framing was to display the art as a set, almost like panels. 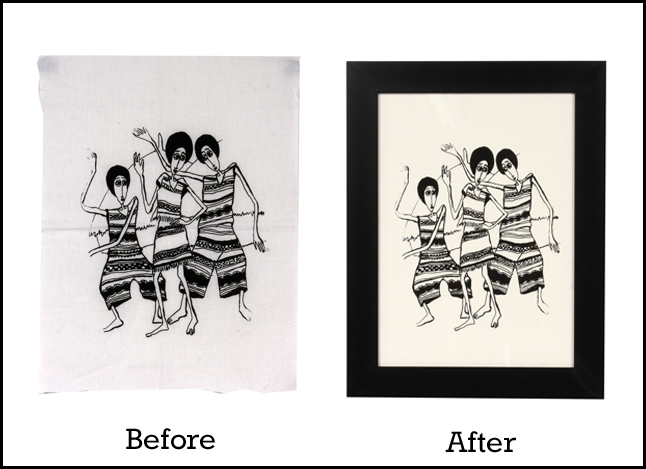 We accomplished this by using the 95504, Eco-Care Blackwood as its boxy profile gives the art a finished look without overpowering the pieces. 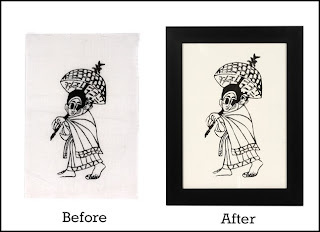 We also chose to mount the art directly to archival mounting board, provide a separation between the art and the UV acrylic glazing with spacers. The finished size for both was 18 x13. 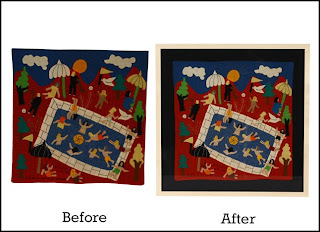 This quilt was a gift to Kristen from one of her father’s colleagues when she was a small girl. It is believed to have come to her from Venezuela and is still in excellent condition! 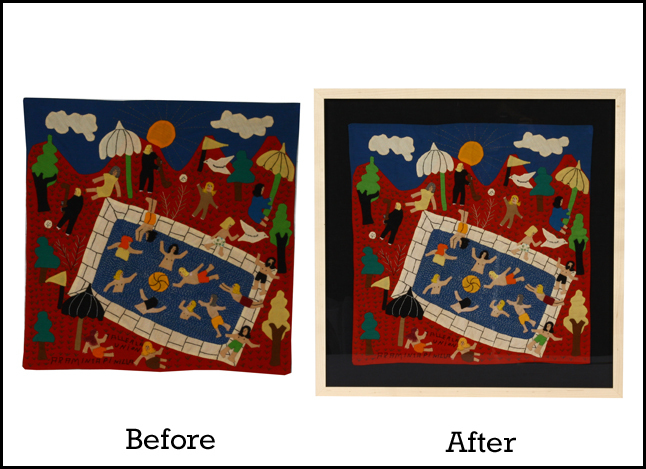 To keep the focus on the fine detail and handiwork in the quilt itself, we kept the framing simple and refined with the use of a solid maple frame, American Hardwoods 206 Natural, floated directly on a black linen mat, separated with acrylic spacers. The elegance of the linen perfectly enhances the textures in the quilt, resulting in a beautiful and museum worthy presentation. 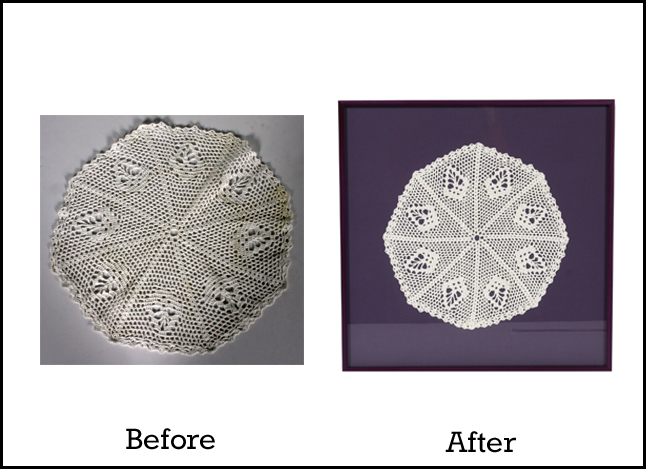 This doily was made for Kristen by one of her patients who had been in her care for quite some time, and she wanted to make it a statement making work of art to add to her office walls. This framing treatment features the SP3233, Standard Plus Three, Purple Haze which pairs perfectly with her choice of mat board, Bainbridge 9562 Grape Jelly. Look at how this piece stands out! 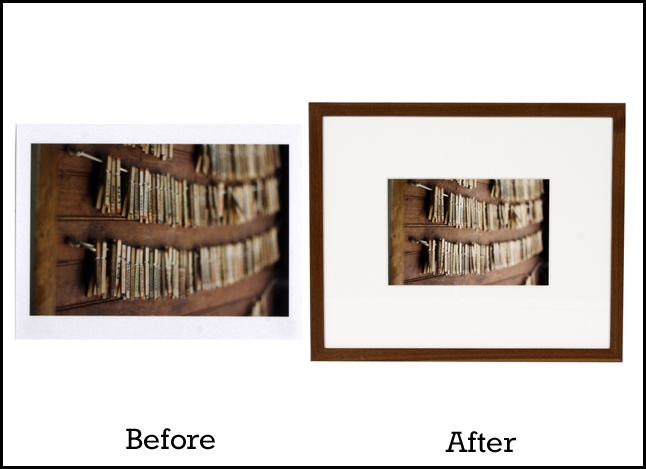 Again, we floated the art work using wide borders on the zero opening mat with spacers. The finished size of the piece was 21 ½ x 21 ½. The next series of images are original photographs taken during a course at Maine Media Workshops and College. 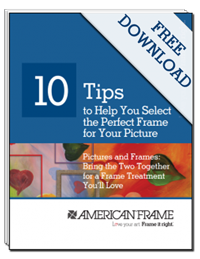 You will notice certain common elements in the framing aesthetic Kristen prefers: the use of single, 4” wide mat board in 6 or 8 ply thicknesses, simple mouldings that complement the colors and textures in the photographs, and archival UV acrylic. Yet even with these elements, the results are individual to each piece. 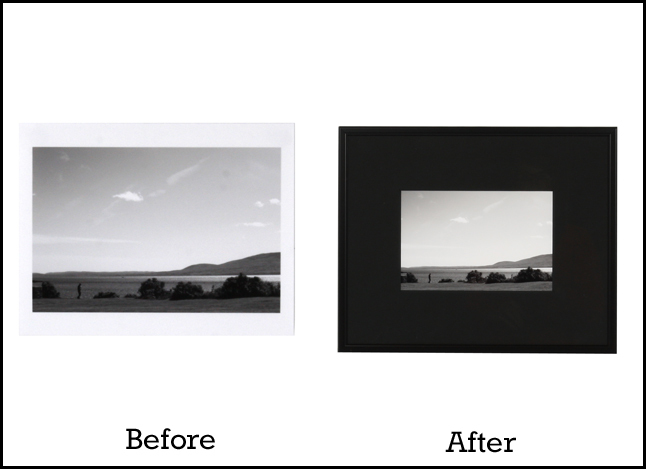 This black and white image was taken in Islesboro, Maine. 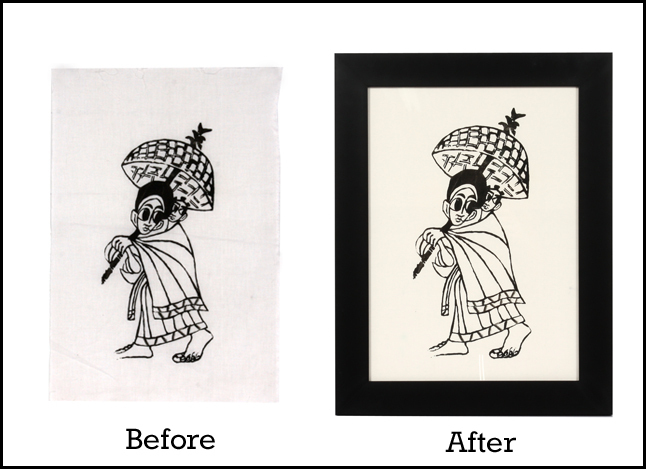 For this picture, we used a metal frame, Twilight Painted Black (TW50) and a black 8-ply mat (8663.8, Natural Black). 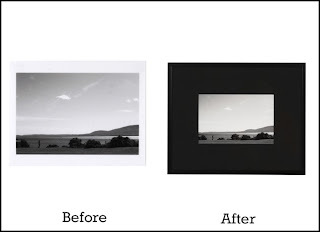 The choice of a black frame with a black mat draws the eye inward, really letting the photograph be the star of the show. This serene picture was also taken in Islesboro. The chair sits in a public area that has chairs for residents or visitors to sit and watch the water go by. Framed in 27560, Studio Matte White and an 8-ply mat 8653.8, Pure White. The clothespins are a way of organizing newspaper subscriptions in the area. People’s names are on the clothespins and the color on the clothespin denotes which paper they are to receive and what days of the week they are to receive it. We used L990, American Hardwoods Natural Walnut. We also used a white 6-ply mat (8463.6, Spanish White). The wood tones of the frame mimic the wood tones on the wall behind the clothespins to create a simple, but effective repetition. This image was taken by a fellow student of hers while enrolled in the same digital photography class and happens to be her husband’s favorite photo of her to date. Framed in American Hardwoods 206 Natural and an 8-ply (8663.8, Natural Black). 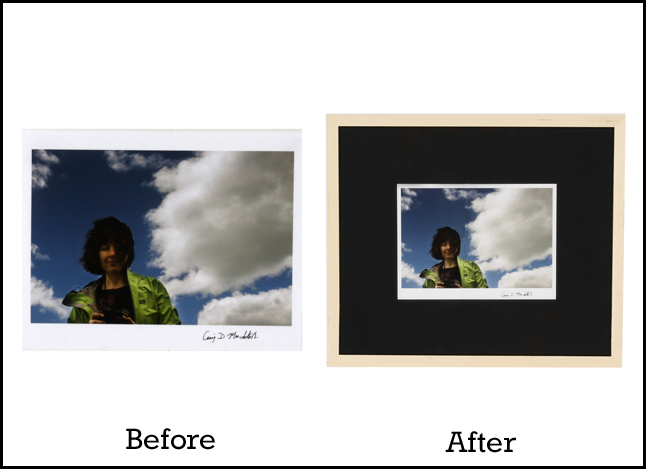 For this final image, we chose the Studio Matte White frame (frame 27560) and a white 6-ply mat (8463.6, Spanish White). 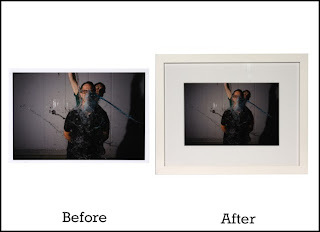 As you can see, you can frame a variety of pieces based on the indiviadual need and feel of the piece. 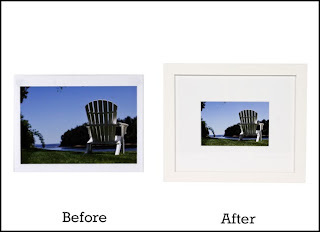 If you are framing many images at once, they do not need to receive the exact same framing treatment. What do you think of these results?